“We are committed to excellence in providing outstanding programing and facilities that offer educational and recreational opportunities which contribute to an enhance quality of life for the community,” she added. The winning marketing campaign focused on National Night Out, an initiative hosted annually by the Morris County Park Police and the Morris County Park Commission. The Commission implemented its marketing campaign across multiple platforms, including digital and print media, as well as social media, radio promos, e-blasts, web ads, press releases, and promotional fliers. The second award presented to Morris County Park Commission was the Digital “E-Blast Campaign,” which garnered 66 percent Open and Click Through Rates, as well as a 44 percent increase in subscribers in 2018. The E-blast Campaign utilized best practices to strengthen brand awareness, and to engage and solidify loyalty among key target audiences. 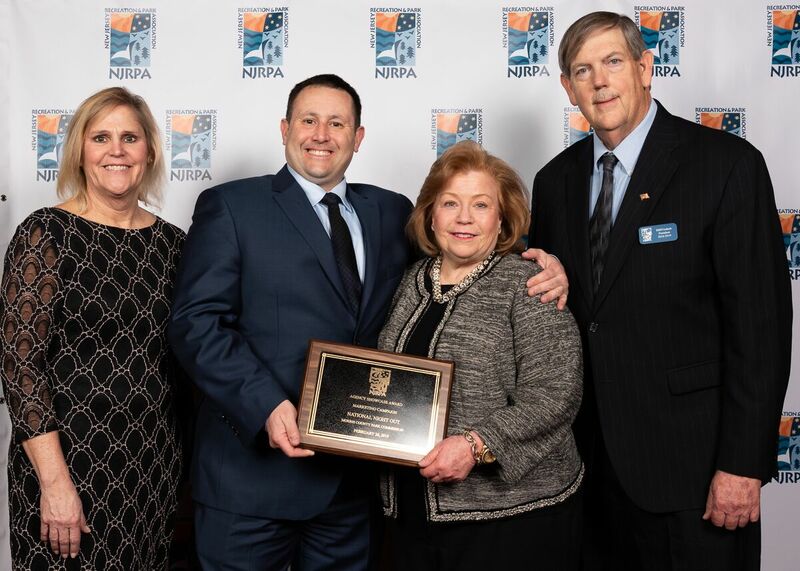 NJRPA’s awards program honors and identifies dedicated leaders, employees, and volunteers in the field of parks and recreation, and recognizes the state’s outstanding recreation and park agencies for excellence in programming, publicity and facility design. The goal of the awards program is to focus attention on the achievement of these agencies, to recognize the continuing efforts of staff and volunteers, and to acknowledge support extended by member agencies.